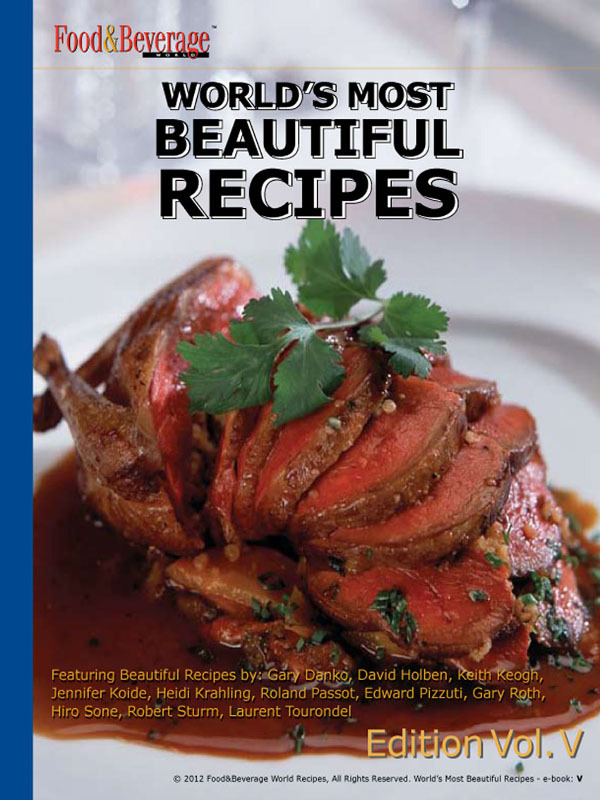 Moroccan Style Stuffed Squab by renowned Chef Gary Danko still pulls the most e mail comments after all this time. Everybody wants to know how to make the slices fall so perfectly. Is it really possible? 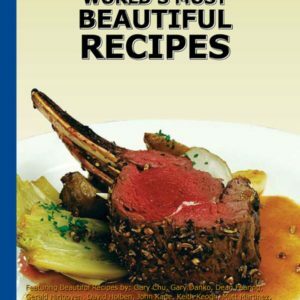 Yes it is, and Gary gives you the answer in the recipe enclosed in volume V of World’s Most Beautiful Recipes. 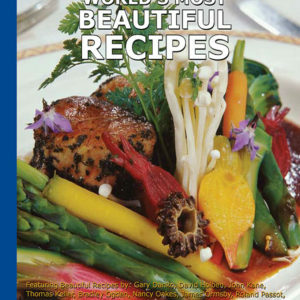 This fifth volume offers a wealth of other wonderful recipes to try. Make a perfect potato pancake in Les Galettes de la Truffade with chef Jen Koide. Chef Heidi Krahling takes you to the Mediterranean again with her grilled Salmon wrapped in Grape Leaves and the Catalin Pine Nut Relish that accompanies it. 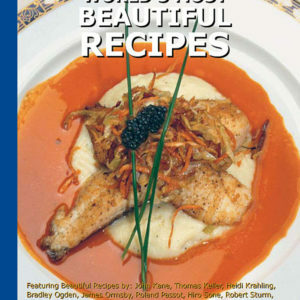 Other dishes you can add to your repertoire are Chicken Fried Lobster followed by Chipotle Glazed Quail with Wild Mushroom Risotto and Truffled Butter Sauce by Texas Chef David Holben. You must try Cumin Crusted Lamb Loin with Coriander Basmati rice by Chef Gary Roth, and learn the secret step of adding apple juice and carrot juice to the base of the rice. This is just a sampling of what lies in Volume 5. The selection is varied with something for everyone. 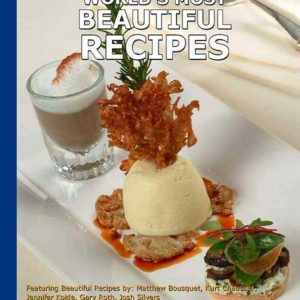 But each of the 15 recipes is more beautiful than the next, in World’s Most Beautiful Recipes, Volume V.